There are not any upcoming shows or events which will be posted on the fron page here, but Agape Gifts will be adding the pages above with a look into the materials which make Agape Gifts unique. Our current discussion is on wire. Yes, you read that correctly! 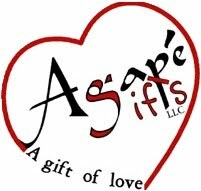 Agape Gifts is on Facebook. Take a peek.